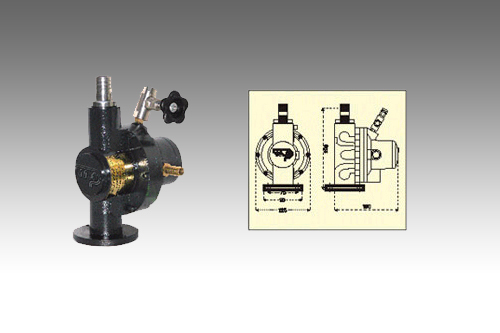 Is suitable for pumping all types of liquids that can pass through a pipe or a hose. The robust Mandar pump can handle everything from water to sludge in the low flow range and offer versatility in wide variety of applications. The pump is excellent in situation where portable and submersible equipment is necessary. It can run dry without damage to the pump or valves. Fields of use : The fact that the pumps are pneumatic and explosion - proof means that they can be used in conditions where electrically operated pumps would be unacceptable, e.g. processing industries, chemical / petrochemical industries, in marine environments, in food industry, in printing industry etc.. It is used as an ink circulation pump as also adhesive circulation pump in the rotogravure / Flexo printing and packaging industry. The food industry : Chocolate , vegetable fats/ oil, syrup. The chemical / petrochemical industry : Binders, resins, dyes, pigments, latex, acids, alkalis, petroleum products, solvents. The paper / process industry : Size / binders, various processing chemicals, coating agents, resins, slurry, sludge. The marine industry : Various types of cleaners, oil foam. Pneumatic - no generation of heat.